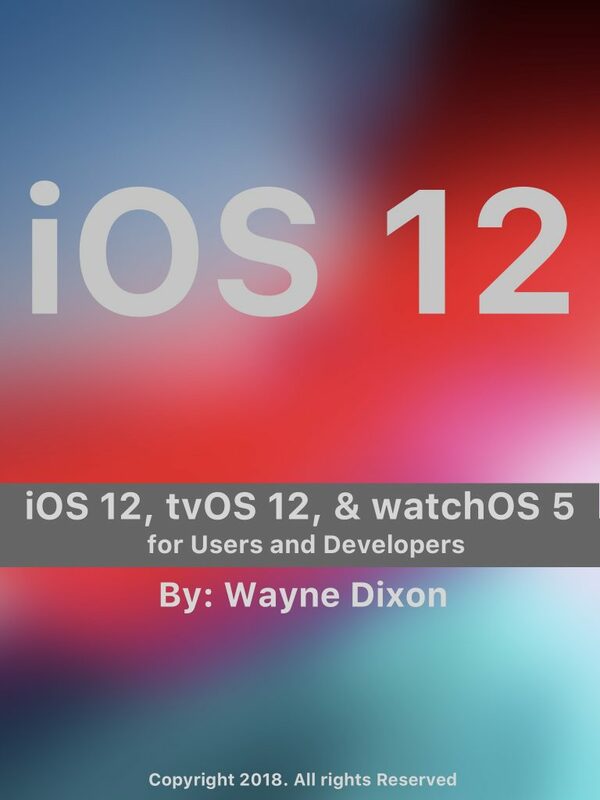 iOS 12, tvOS12, and watchOS 5 for Users and Developers delves into the changes and new features of Apple’s iOS-based operating systems. Some of the changes covered include: performance improvements, privacy changes, grouped notifications, enhancements to FaceTime, improved photo features, suggested password enhancements and more. We will also cover some app updates, including changes to Activity, Stocks, News, Voice Memos, and Books. There are also a bunch of new features like the new Siri Shortcuts which allows you to automate various tasks. Screen Time will let you gain insights into your, as well as your children’s, usage across all of your devices. If you like sending Animoji you will love the all new feature Memoji which allows you to customize an Animoji character however you would like. The new Live Listen will help those who may have a difficult time hear things more clearly. We will also dive into the new Safari password features which will help you use individual passwords on all of your devices. For developers we dive into the Xcode Changes includes Dark Mode, Performance Improvements, changes around object libraries, and enhanced editing features. We will also dive into Grouped Notifications and how to provide threaded conversations. With Siri Shortcuts we will look at the different ways of adding intents. ARKit 2 is also covered which includes Quick Look and Persistence. For CoreML we look at how to improve model sizes with quantization as well as a brand-new framework related to CoreML, called CreateML. There are also two additional brand new frameworks, Natural Language and Network and we look at these as well. No Apple Developer book would be complete without looking at some of the changes that surround Swift. There are some features for web developers as well which includes MapKitJS, MusicKitJS and ways to provide secure loading of remote content. No matter your technical level, there is something for everyone in iOS 12, tvOS12 and watchOS 5 for Users and Developers. You can pre-order the ePub from Apple for $3.99, or the Kindle version from Amazon for $3.99. In addition to the e-book, there are paperbacks. These are available from Amazon. There are two editions, a Color and a Black & White. The color is $39.99 and the Black & White version is $12.99.